Vox Camerata is looking for a Communications Intern for its concert happening in mid-March 2018! As an intern, you will get a taste of how independent arts groups function in Singapore and gain exposure to the local choral music scene. You can expect to receive a testimonial after the internship period. The work will require an estimated 20 hours a week, and most of the work can be done remotely. You’ll be required to meet on an ad-hoc basis either weeknights or Saturdays. No experience required, just enthusiasm and open-mindedness! Interested in this role? 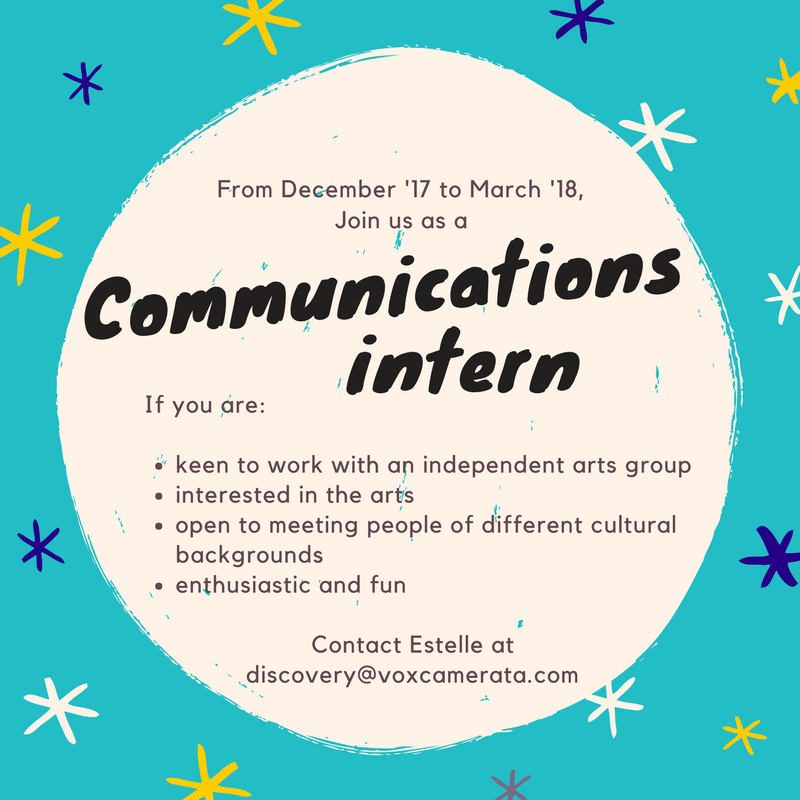 Get in touch with Estelle at discovery@voxcamerata.com with the subject title “MI2018 Internship” with 100 words on why you would like to join us.